XS Noize recently brought the Teenage Cancer Trust to your attention, the only charity dedicated to making sure young people diagnosed with cancer get the expert treatment and personalised support they need. 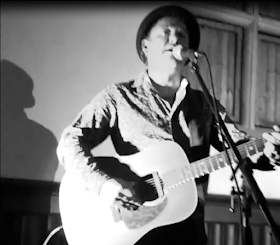 When XS Noize were invited back to the final evening of the show at the Albert Hall to hear The Levellers play “A Beautiful Night Out”, an evening of entertainment curated by the band, we couldn’t refuse such warm hospitality. “A Beautiful Night Out” opened with Wildwood Kin, a three-piece, multi-instrumentalist (including the bouzouki) female folk band from Devon, who, as well as showcasing their original material with captivating harmonies, performed a beautifully and meticulously crafted mellowed rendition of Stevie Wonders’, Higher Ground. Wildwood Kin have already caught the attention of Bob Harris, who invited them to perform at the live show of The Old Grey Whistle Test’s One Night Only live show on BBC Four to celebrate the 30th Anniversary of the show’s last broadcast. With a full tour ahead next month and a second album on the way, based on this performance alone; Wildwood Kin are worth seeing as they tour of a host of intimate venues across the UK. During the intervals, superb DJ sets were spun by a founding member of Big Audio Dynamite, Don Letts who gained notoriety in the late 70’s “as the DJ that single-handedly turned a whole generation of punks onto reggae”. And for those, whether they were around in the ’70s or had a perchance for punk if they were present at the Royal Albert Hall during Letts sets; they too would have been converted. He injected new substance into a variety of songs from the original Batman theme to Nirvana’s’ Lithium. 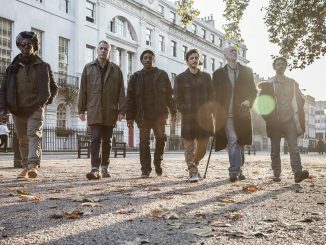 Main support came from Dreadzone, a London formed group combining the best of electronic, reggae and dub music. Whilst their only top 40 hit, Little Britain, which sampled a line from the 1968 cult British film If…. – “Britain today is a powerhouse of ideas, experiments, imagination”, their influence on the Indie and Dance scene is colossal. Their playout track, Captain Dread, which contains six samples reminds us of how innovative this band are and why their career has spanned for over twenty-five years with no end in sight. Before The Levellers took to the stage, DJ Emma B introduced a non-partial, non-emotive, short, informative video about the Teenage Cancer Trust. The Teenage Cancer Trust has helped to set up specialist units in 28 NHS hospitals across the UK to help overcome the problems encountered on generic children’s wards including; the size of the beds, age-inappropriate toys and books as well as loneliness and isolation. With the Albert Hall already packed with Levellers fans wearing the specially designed Levellers t-shirt in aid of the Teenage Cancer Trust and the Albert Hall decorated in upside down triangular flags with Levellers artwork and symbols; the Levellers were ready to emerge. Opening with England My Home, it was clear from the outset that this was going to be an electric rock show. No warm-up time was needed; a packed five-thousand plus Albert Hall was instantly punk-charged and rocking. The adrenaline levels continued to soar as The Levellers, without pausing, played 15 Years. When XS Noize interviewed Jeremy, he promised us that We the Collective would not be The Levellers final LP release, the band hinted they we were closer to a new release by playing two new songs: Our New Day and Food Roof Family. Both songs, fast, punk-fuelled with rebellious testosterone kept the crowd’s momentum just as much as any Levelling the Land classic did. As XS Noize predicted when we reviewed McDermott’s 2 Hours vs Levellers – Besieged, “the best is yet to come”. The majority of the rest of the set was inspiring, upbeat and galvanising hits including, World Freak Show, The Fear, Cholera Well, What a Beautiful Day, Truth Is and McDermott’s 2 Hours cover: Dirty Davey. A Levellers gig, just wouldn’t be the same without Steve Boakes who came out as colourful and illuminated as ever (Joseph’s coat of many colours would look very dull in comparison), opening digeridoo to Three Friends and playing into One Way. There were also slower and emotional songs amidst this elating and hyperactive set with Julie, Men an Tol as well as a slowed down rendition of Too Real, stripping it of its distinctly late nineties production when the single version was released back in 1998 by enhancing the chorus which gave it a grittier, underground feel. Whilst the emotive impact of these elating greats penetrated the soul, they did not physically neuter the jumping and jovial crowd. The intensity came when The Levellers played The Riverflow. The crescendo came with playout track, What You Know, permeating the Royal Albert Hall with the passion of a prison riot. 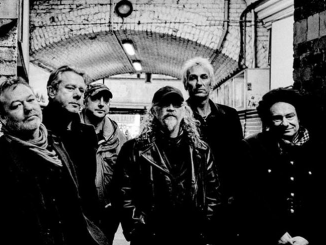 When XS Noize reviewed The Levellers at the In the Round festival in 2018, we marvelled at what they did differently, stripping down their electric outfit into a mellowed unplugged set. At the Albert Hall, with the exceptions of slightly altering Too Real and adding a touch of echo to Chadwicks’ vocals; seldom had changed to their live electric offering. 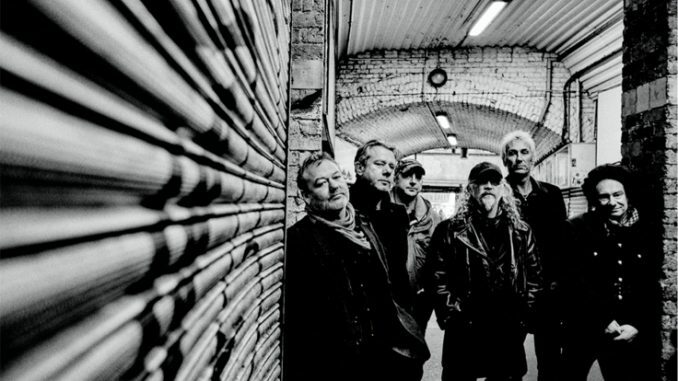 Whether The Levellers stick to a tried and tested recipe or not, the result is always the same; one is left mind blown and still feels they are receiving a spiritual revelation for the first time. The Levellers stayed true to their ethics, their fans, unique folk-punk musical genre and most importantly, they came out at the top of their game for the amazing charity: the Teenage Cancer Trust. A perfect end to “A Beautiful Night Out”.